The Irish pianist John O’Conor has been gathering wonderful reviews for his masterly playing for over forty years. He studied in his native Dublin, in Vienna with Dieter Weber and being tutored by the legendary Wilhelm Kempff, and his unanimous 1st Prize at the International Beethoven Piano Competition in Vienna in 1973 opened the door to a career that has brought him all around the world. He has performed with many of the world's leading orchestras including the London Symphony, Royal Philharmonic, Czech Philharmonic, Vienna Symphony, l'Orchestre National de France, the NHK Orchestra in Japan and the Atlanta, Cleveland, San Francisco, Dallas, Montreal and Detroit Symphonies in North America. He has given concerts in many of the world's most famous halls including Carnegie Hall and the Lincoln Center in New York, the Kennedy Center in Washington, the Wigmore Hall and South Bank Centre in London, the Musikverein in Vienna, the Dvorak Hall in Prague and the Bunka Kaikan in Tokyo. He enjoys collaborating in Lieder recitals and performing chamber music with many instrumentalists and ensembles such as the Cleveland, Tokyo, Vanbrugh, Vermeer, Takacs, Vogler and Ying Quartets. John O'Conor first gained widespread attention in the USA in 1986 with the release of his first volume of Beethoven Sonatas on the Telarc label. He went on to record the complete Sonatas and these were issued as a box set in 1994. CD Review described Mr. O'Conor's performances as "piano recording of the highest calibre and Beethoven playing at its best". Mr. O'Conor has made more than 20 recordings for Telarc, including the complete Beethoven Bagatelles (which was cited by the New York Times as the best recordings of these works) and Mozart Concertos with Sir Charles Mackerras and the Scottish Chamber Orchestra. He has also recorded the complete Nocturnes, Sonatas and Concertos of the Irish Composer John Field. In 2007 and 2008 he recorded the complete Piano Concertos of Beethoven with the London Symphony Orchestra conducted by Andreas Delfs and these have been greeted with great acclaim. 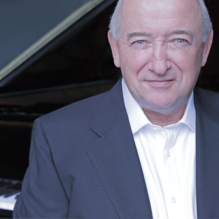 O'Conor is regarded as one of the most important piano teachers in the world today. He is Distinguished Artist in Residence, Professor of Music and Chair of the Piano Division at Shenandoah Conservatory in Virginia, will also be joining the faculty of the Glenn Gould School at the Royal Conservatory of Music in Toronto in September 2014, is Visiting Professor at Showa University in Japan and continues to teach at the Royal Irish Academy of Music in Dublin. His students have won many international prizes and he is in great demand for masterclasses and as a juror at the most prestigious International Piano Competitions worldwide. For his services to music he has been awarded Honorary Doctorates by the National University of Ireland, by Trinity College Dublin and by Shenandoah University, the title "Officier de l'Ordre des Arts et des Lettres" by the French Government, the "Ehrenkreuz fí¼r Wissenschaft und Kunst" by the Austrian Government, the Order of the Rising Sun by the Japanese Government and has received many other awards. John O’Conor is a Steinway Artist.